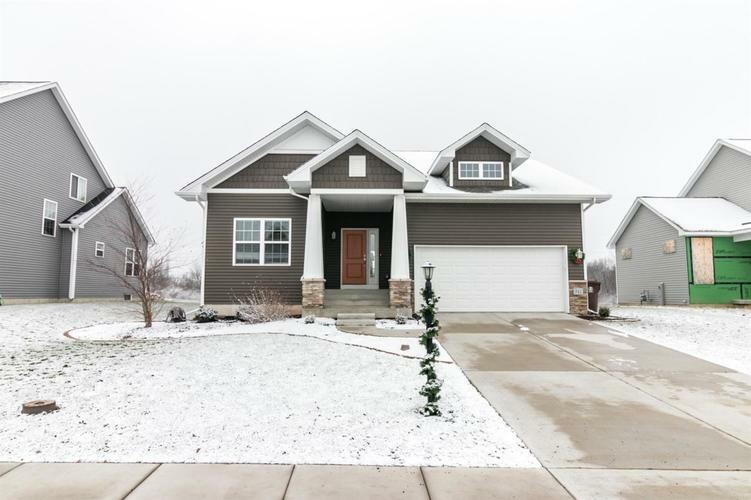 Pack your bags and move on in to this nearly new home on the North side of Valparaiso. Walk in the door and you will walk into a beautiful open concept kitchen and living area with vaulted ceilings. A huge granite island will be the gathering point of your parties and gatherings. Also on the main level, you will find a main level suite with bathroom and walk in closet. Walk down the stairs to the basement and you will find an amazing finished rec room. Don't forget about the covered porch and outdoor seating area. You won't want to miss this one, come check it out today! Directions:500 N to Hampton Manor Dr; Left on Hampton Manor Ln; Left on Gentile Ct; House on Right.